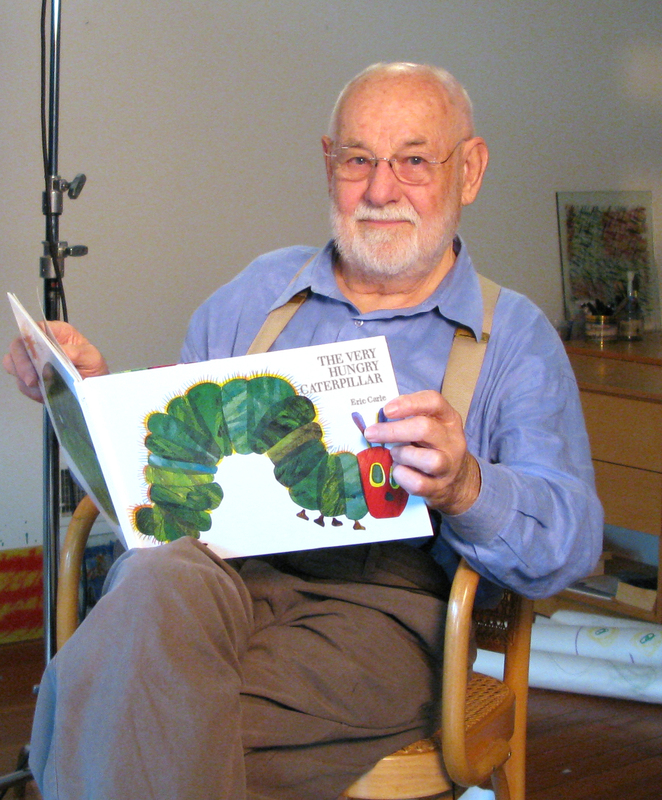 Eric Carle is a beloved author of colorful picture books for kids. 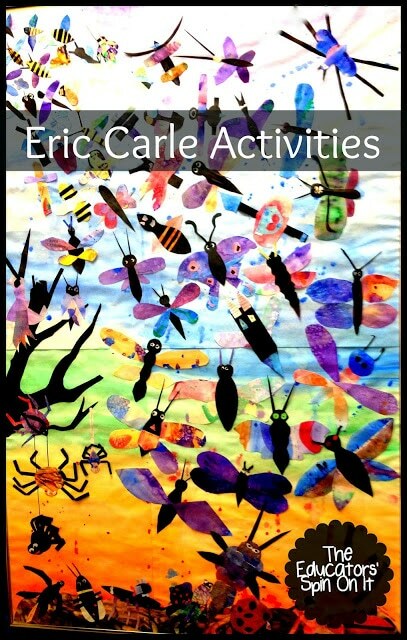 Here’s several Eric Carle Activities to do with your child. One of the easiest ways to connect with his books is to encourage children to paint their own versions of his colorful characters. 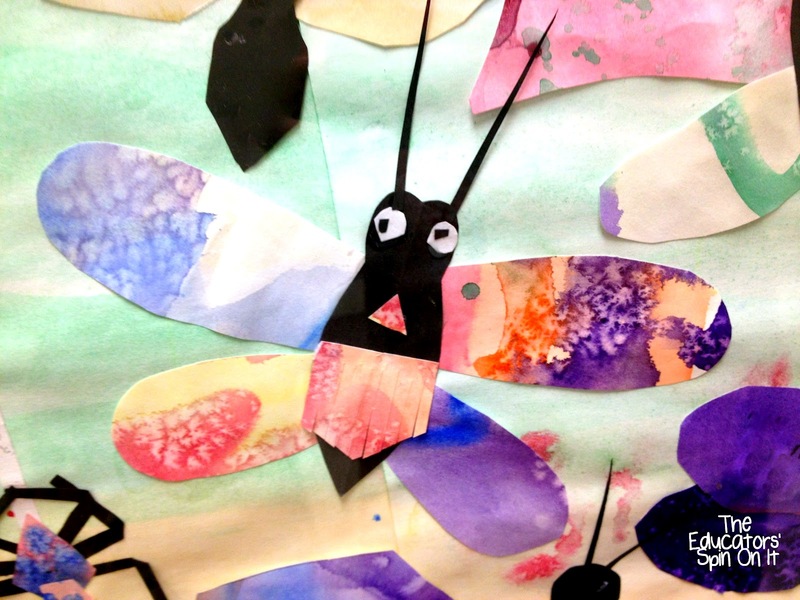 Here are a few ways to create art, games and activities inspired by Eric Carle. Learning about authors and connecting with them can be one of the greatest ways to teach your own child about becoming a writer and an inspire them to read! 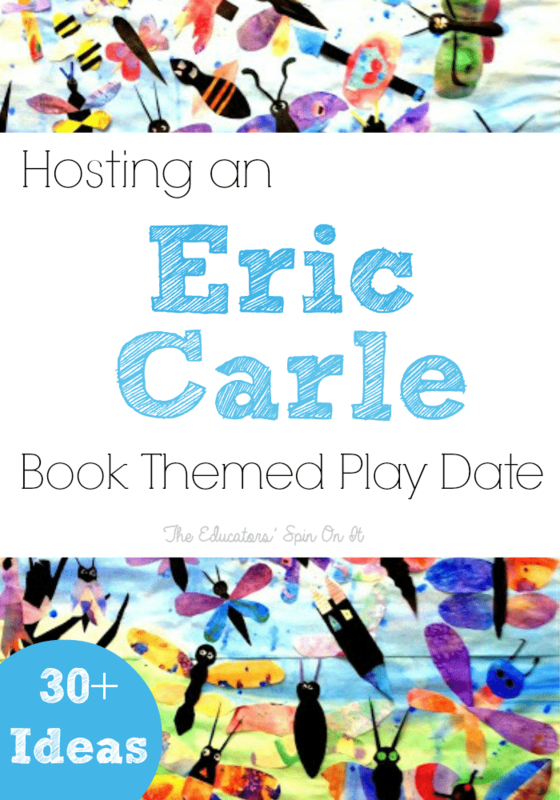 We’ve team up with several other bloggers to celebrate one of our favorite authors…ERIC CARLE! Here’s your chance to learn about Eric Carle with your child and see how much fun you can have as you’re inspired by his imagination! 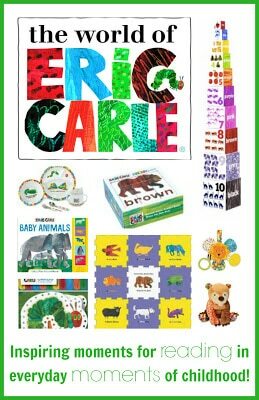 Eric Carle has his own website that I encourage you to visit. He even has a special portion where he shares videos of how he creates his pictures. If there was one author to keep on your child’s books shelf, I personally feel it should be Eric Carle. From the colors to the word selection they are stories that children are drawn to and that they can easily start to read on their own. Here are some of my favorite Eric Carle books. Sometimes it’s the simplest activities that help connect your child to a book. We created some bugs in response to reading Eric Carle’s Books. My daughter had so much fun and really discovered her creative side by painting the paper first with watercolors and then cutting the papers to create her own insect creations. The featured image in from our school in a group project. We love our Stories for All Seasonsby Eric Carle. Inside it contains Rooster’s Off to See the World, A House for Hermit Crab and The Tiny Seed. It’s a great collection to have all in one storybook too. 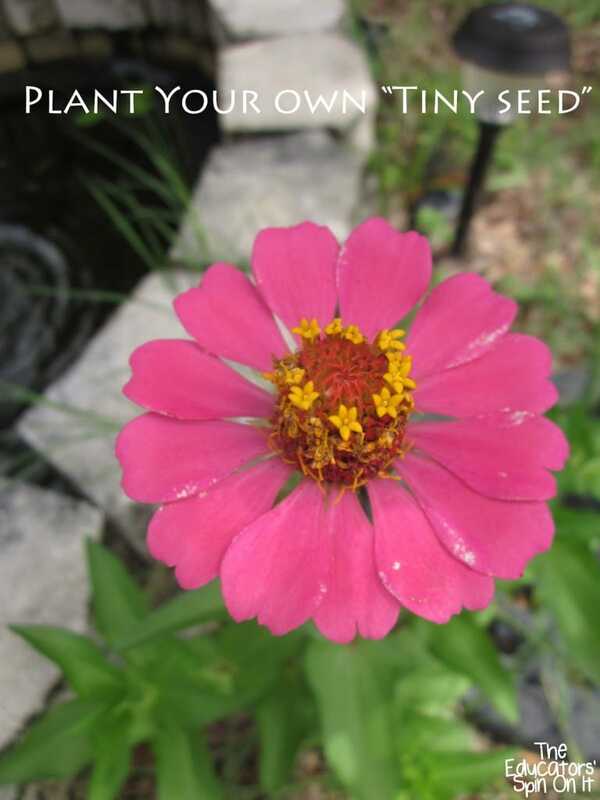 Planting Zinnia seeds and dreaming up our own The Tiny Seed story can be fun. Retelling a story can be so much for fun when it’s with a real object. Every year we save our blossoms from our zinnias and replant the and share them with friends. This year I had my daughter create her own story about the tiny seed and where she thought it would drift off too. I wonder what your child could imagine would happen to a tiny seed? Now comes the fun part! How do you bring the magic of Eric Carle into your home? We’ve joined up with some of our favorite bloggers to create a fantastic Resource of Eric Carle Activities for your child. We invite you to join our Year Long Virtual Book Club for Kids featuring a different Authors and Themes each week! Join our Book Club for Kids! 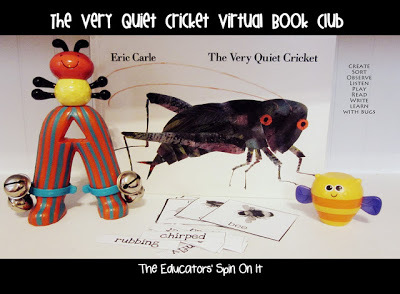 Learn more about our Weekly Virtual Book Club for Kids! This is great! When I was a preschool teacher, I decorated an empty Pringles can to make the Very Hungry Caterpillar, with a face drawn and mouth cut in the lid, then created all the foods in the book by drawing them on colorful construction paper and laminating. I then made a game out of letting the kids "feed" the caterpillar. It was a big hit with the kids! What a fantastic collection of activities you've put together! We loved participating in this blog hop! Thanks for sharing it with the Kids Co-Op! This was such a fun blog hop. I wish that we lived closer to the Eric Carle museum! 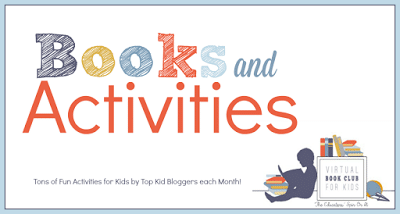 Thanks for linking this post up to The Children's Bookshelf. I love your collection of Eric Carle activities. I would like to invite you to link up this post to my Money Saving Monday Link Up. We are learning our colors in Tot School through the Eric Carle classic, "Brown Bear, Brown Bear, What do you see?" It has been a ton of fun and is an incredible book! I love seeing these other ways to celebrate and enjoy his books! Thanks for the post! I LOVE the Eric Carle Museum! It is so much fun!